Welcome to britainforevents.co.uk. Our website collates information about events you can become involved with in the UK from thousands of street parties and hundreds of traditional festivals. Here, we also provide a guide British history, including royal marriages. Britain is a union of nations: England, Scotland, Wales and Northern Ireland, though throughout history there have been many conflicts along nationalist lines. We’ve listed just a few of arguably the most important events of the past five-hundred years that have made Britain what it is today. Britain’s patchwork fields and elegant country gardens that you may have seen on the screen, in Game of Thrones (Northern Ireland) or Downton Abbey (England) are the setting for many of Britain’s big events, that usually take place in the summer months. Eccentricity is among the most celebrated British traits. From cheese rolling to bog snorkelling, there’s no end to Britain’s weird and wonderful festivals and traditions. Modern Britain is diverse, from global cuisine to urban culture. 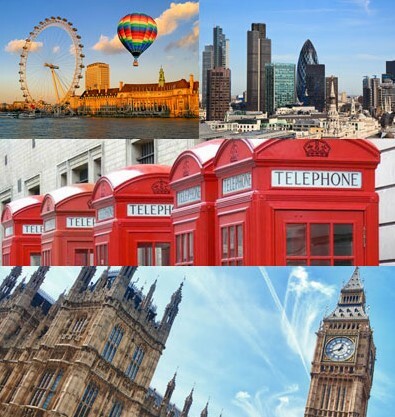 For all its history, London is a cutting-edge city with new trends alongside its old traditions. And whilst it would be easy to spend weeks seeking out its hidden treasures, to experience England in all its glory, venture out. Scotland’s buzzing cities of Edinburgh and Glasgow are in contrast to the off-the-beaten-track beauty of the Highlands and islands, untouched by time where you can walk solo on pristine beaches, bag the Munros and end the day with experimental music and theatre that isn’t all bagpipes, tweed and tartan. Cardiff, the capital city of Wales has been voted Britain’s most sociable city, not just a capital full of castles and legends. You’ll find live music in the city every night of the week. You can see why Northern Ireland is the favoured filming location for Game of Thrones. City life is colourful, in the capital Belfast and in Derry where a pub visit for a ‘trad’ music session, will be a great craic since a “swift half” will always end in the early hours. 1 January – New Year’s Day. In Scotland, the celebration of the new year is called Hogmanay. There are big parties across the country – expect lots of music, dancing, food and fireworks – but Edinburgh hosts some of the biggest. 25 January – Burns’ Night (Scotland). Many Scottish people hold a special supper in celebration of Robert Burns, with toasts and readings of his poetry. Men might wear kilts, there may be bagpipe music, and people will almost certainly eat haggis (the traditional Scottish dish of sheep heart, liver and lungs) with neeps (turnips) and tatties (potatoes). 8 February – Chinese New Year. Outside Asia, the world’s biggest celebration of Chinese New Year is in London – each year there is a parade through Chinatown in the West End, with free performances of music, dance and acrobatics, a feast of food and fireworks. 14 February – the festival of love and romantics – St. Valentine’s day. People that would like to have a romantic relationship with somebody may use the occasion to let the other one know it, often anonymously. Expressing the love with a flower and a gift for the female half is almost mandatory for men and these ideas for a Valentine’s present for her are priceless. Enjoy! 1 March – St David’s Day (Wales). St David is the patron saint of Wales and Welsh culture is celebrated at events across Wales, including a large parade in Cardiff. 17 March – St Patrick’s Day (Northern Ireland). The Feast of St Patrick is a national holiday in Ireland, when people wear green, a shamrock symbol and drink Guinness, the Irish dark beer. 23 April – St George’s Day (England). The patron saint of England is not a bank holiday and most people don’t hold special celebrations. 23 April is also known as William Shakespeare’s birthday, when events take place to honour the playwright. 1 May – Beltane. Beltane (or Beltain) is the Celtic festival of fire, which celebrates fertility and marks the start of summer. With its roots in ancient Scotland, Ireland and the Isle of Man, modern versions of the event are becoming more popular. In Hampshire, the traditional 30-foot Wicker Man is burned at sunset. 13 June – The Queen’s Official Birthday is marked by a military parade known as Trooping the Colour, held in London and attended by the Royal Family. June Summer solstice. The ancient monument of Stonehenge in Wiltshire has its true moment in the sun as people celebrate the longest day and shortest night of the year. July/August – Eisteddfod. The National Eisteddfod is Wales’ biggest artistic event and one of Europe’s oldest cultural festivals. This is a chance to hear Welsh music and literature, see dance and theatre performances, shop for books and crafts, and much more. August – Edinburgh Festival Fringe. The largest arts festival in the world, ‘the Fringe’ features over 40,000 performances and more than 2,500 shows at 250 venues. Any type of performance may participate, across theatre, comedy, music and dance. August Bank Holiday weekend – Notting Hill Carnival is Europe’s biggest street festival. Around 1 million people go to see colourful floats and dancers in flamboyant costumes, hear music from salsa to reggae, and taste Caribbean food from street stalls. 5 November – Bonfire night. Historically, this marks the anniversary of Guy Fawkes’ plot to blow up the House of Lords and assassinate King James I in 1605. This is commemorated with spectacular displays of fireworks. 30 November – St Andrew’s Day (Scotland). There are many events across Scotland, including traditional meals, poetry readings, bagpipe music and country dancing. This is a great opportunity to go to a ceilidh – a party with Gaelic folk music and dancing. Throughout December, there are countless winter markets and festive visitor attractions across the UK.